The warning is on the product as a separate label saying that it is “not authorised by the US trademark office,” and the Grenada Bureau of Standards says it can do nothing to remove it from shelves and other places of trading in Grenada. Acting Director of the Bureau, Leonard St Bernard explained that the product cannot be described as a fake although it appears to be “passing off as the original,” because there is a warning message informing the consumer that the product is not the real advertised brand, thus making the decision to purchase is at one’s own risk. “We do not have laws addressing consumer protection, but there other areas in the law that can be used to protect consumers. It’s really up to the official distributor to take that step,” said an official of the Consumer Affairs Unit in the Ministry of Finance. “Because this fake brand carries the same name as the authentic product, the official distributor can legally challenge the distributor of the fake brand under the trademark law. “The fake brand carries the same name as the authentic product and this is an intellectual property infringement,” the Consumer Unit official said. 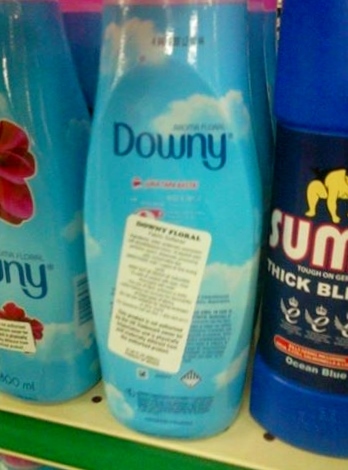 An officer at the Customs Department said that only the Bureau can give the order to seize the products, and they have not received any information about counterfeit fabric softener.